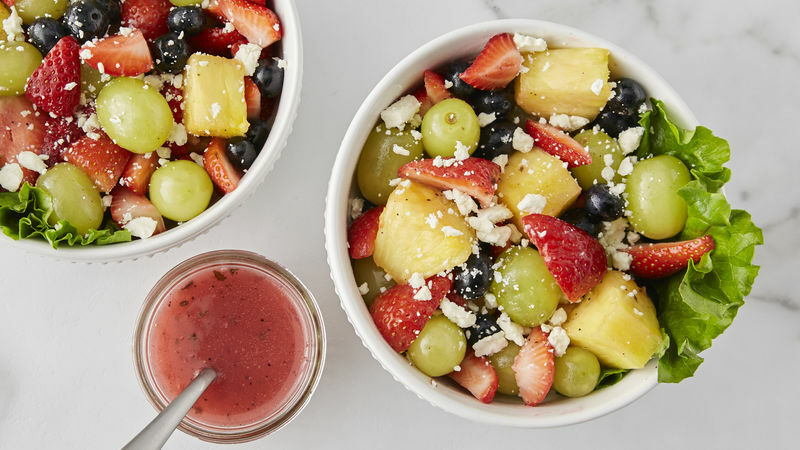 Mix pineapple, strawberries, blueberries and grapes in large bowl. Serve fruit mixture on lettuce. Drizzle with dressing. Top with cheese. Betty Crocker joined with oncologists, a nutrition expert and cancer patients to bring you easy, nutritious recipes in this special book. If you’re not a feta fan, skip it or use your favorite cheese in its place.